Eaw'tdiggl'in! 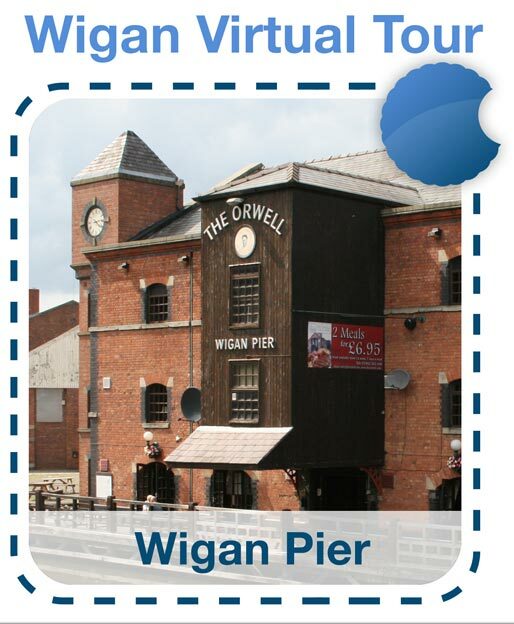 The Wigan Virtual Tour is here! 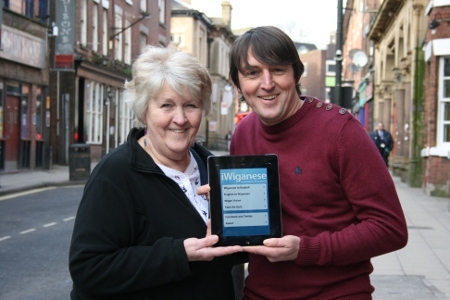 iWiganese is ready to launch Wigan Vision – the virtual tour of Wigan with the iWiganese app! Trigger images will be placed around the town at places such as the Town Centre, Arcade, Wigan Pier and DW Stadium. Just scan these images with your iWiganese app on your smartphone to see some great videos produced by our Wigan based partner Big Features. Keep watching this space as we show you more of the technology behind the virtual tour and where you can see it in action! Earlier this year we added more phrases and a quiz to iWiganese – our cross country phrasebook. We've found the new voices of Wigan, Mr and Mrs iWiganese, Ann Ashcroft and Ian Schofield, both born and bred in the town. You can now also tweet your favourite phrases and share them on Facebook. Live updates from our launch day on Twitter @iWiganese. If you can't get to Wigan then click here to see the trigger images online! Please feel free to use these audio clips however you see fit. Use them as your ring tone or on your website.